We have a diverse area of know-how including, but not limited to, Criminal Defense, Family Law, Landlord/Tenant, Personal Injury, Restraining Orders and Civil Litigation. Our clients always come first, and every client is treated with courtesy and is guaranteed effective representation. Manzi, Seccareccio & Merwin, P.C. is dedicated to helping their clients through difficult circumstances. Our environment provides a relaxed and comfortable atmosphere for clients. They can discuss their case with Manzi, Seccareccio & Merwin, P.C. who will listen and provide sound legal advice. 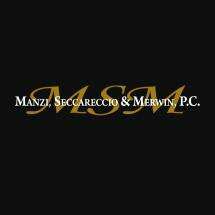 Contact Manzi, Seccareccio & Merwin, P.C. to receive the representation you deserve.